I like this wallie! It's so pretty! Ohhhhhhhhhhh! Incredible! It was very amazing! Agreed, textless WOULD be better. It is however, a really good wall. Kira looks... kinda weird. Well, I mean his facial expression. 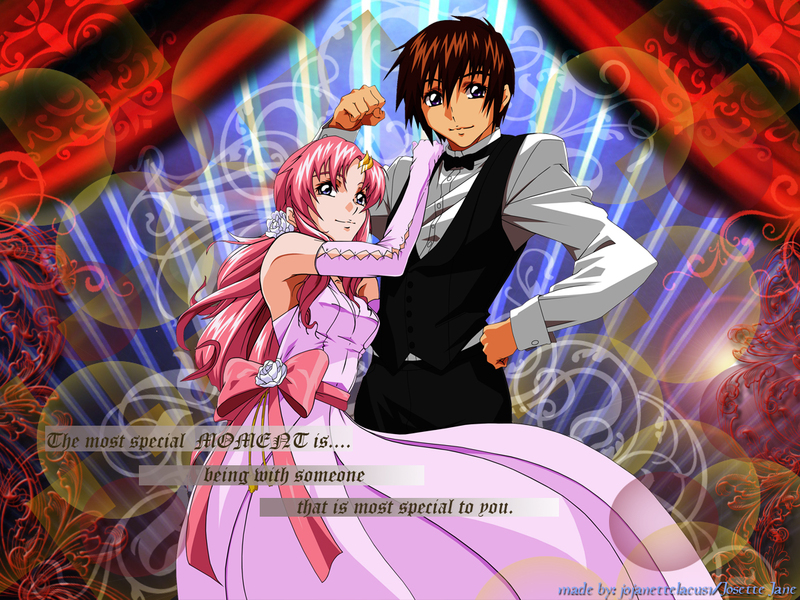 Such a pretty pic of my fave couple in SEED/SEED Destiny. Kira and Lacus were truly meant to be together. owo so beautifu! owo <3! kya!